Some of us were at least a little disappointed with the GTX680’s …well, let’s say slightly under-built first offering. While they are performance behemoths, their intentionally hampered four-phase-with-blank-fifth-phase power section left something to be desired. EVGA has just announced their GTX680 FTW, with “…an 8 Phase PWM design, an 8+6pin Power Input and Vapor Chamber cooling”, which sounds good to us. These cards come clocked with a 1110 MHz base clock and 1176 MHz boost clock, a substantial increase over the stock offering. There is even a 4 GB version for those that thought the 2 GB initial release was a bit thin on video memory. EVGA isn’t the only partner coming out with upgraded cards. 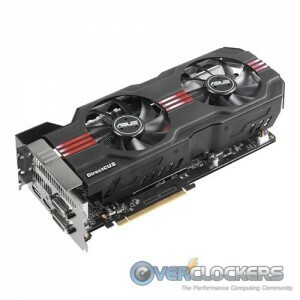 ASUS has a GTX 680 DirectCU II that also has upgraded specs. While it has a stronger PWM (10-phase), its default clock is a little lower, at 1084 MHz boost clock. Gigabyte and MSI have overclocked versions with upgraded cooling but don’t appear to have any physical PCB advantages over the stock card. The GTX upgrade wars are under way and it looks like fun! Are any of you planning on jumping on the newly upgraded GTX 680s? Nice looking card, but i don't understand. Why a vapour chamber? They are noisy and not as good traditional heatsinks. Surely, the first thing to do is rip that off, put on better cooling and then overclock the hell out of it. Vapor chamber is similar to heatpipes. Jacob over at EVGA said the vapor chamber cut 6C off the temps. I might as well ask my wife if I can buy a Ferrari. I'd get the same answer as I would attempting to purchase one of these! You lucky Joe's go for it, though!! 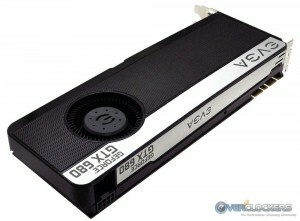 :D I'll just get by with my EVGA GTX550 ti. one of the party pieces of the Direct CU line has been the upgraded cooling and power control capabilites, while they don't usually up the clock they leave it to the end user or enthusiast to do that bit, and usually with quite good results. Having a few of the early directCu offerings pass through my hands. I can say the results are usually quite pleasing and easy to work with. Though at the same time EVGA continues to have a very appetizing offering. TiN is a freak of nature, and you know that anything he puts work into is gonna perform quite a bit above expectations. I would be surprised if TiN didn't have at least some input into the design of this card. Since VGA power seems to be one of his party pieces. Vapor chamber is like a big, single, heatpipe. Vastly more efficient than multiple small heatpipes. Nice cards, I just HATE that stock Nvidia reference cooler. it's so F'ing loud it sounds like a hair dryer in your computer. I love the MSI twin frozer and Asus DCII coolers. Can not wait for these better cooled cards to really roll out. Ok, but i'm still not convinced. Can anyone show me a test where a vapour chamber outperforms arctic's accelero extreme (or any other decent heatsink)? 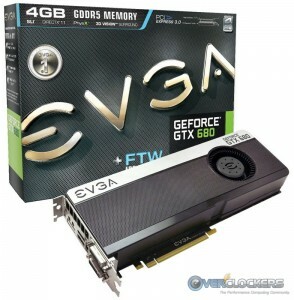 EVGA GeForce GTX 680 Hydro Copper or the CLASSIFIED Hydro. That's the ticket. Classified looks pretty awesome with the EVBot port. I'm still holding out for the Lightning to see if they find a way to remove the limited overclocking/voltage without crazy hard-mods/zombie/TiN-ing. Otherwise I will probably stick to finding a 7970 lightning which appears to still do extremely well on the bot.